TBWA picks former-Publicis ECD as new Global Creative Director! Former EVP / Executive Creative Director of Publicis – Perry Essig – is joining TBWA\Chiat\Day NY to lead the creative on the agency’s global Accenture account. Based at Publicis for the last five years, Essig led the creative and award-winning campaigns for Citibank across all of its platforms. Prior to Publicis, he worked at Ogilvy with brands including AmEx and Kodak. At TBWA, Essig will work in partnership with Tony Bennet, Global Creative Director, and closely with Head of Account Management and Global Account Lead for Accenture, Leigh Baker. He joins at a time that TBWA's James Cheung has recently been promoted to Global Creative Director. 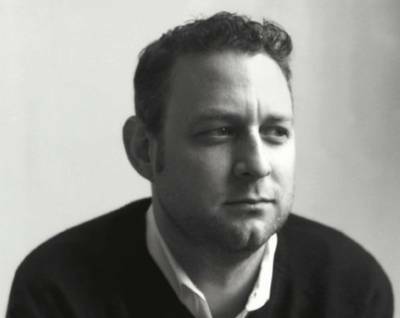 “Perry is a modern day creative director - a conceptual thinker, a true craftsman, digitally centric and business curious with an incredibly high standard of creativity,” commented Mark Figliulo, Chief Creative Officer and Chairman of TBWA\Chiat\Day NY, “He is the perfect partner for Tony Bennett to lead our Global work." Essig added: "I couldn't be more excited to join TBWA\Chiat\Day. It's a tremendous opportunity at one of the world's great agencies, and I'm thrilled to sail beneath the Pirate flag."